They came to us in Kolkata for the first time in December 2017 and we performed initial tests. 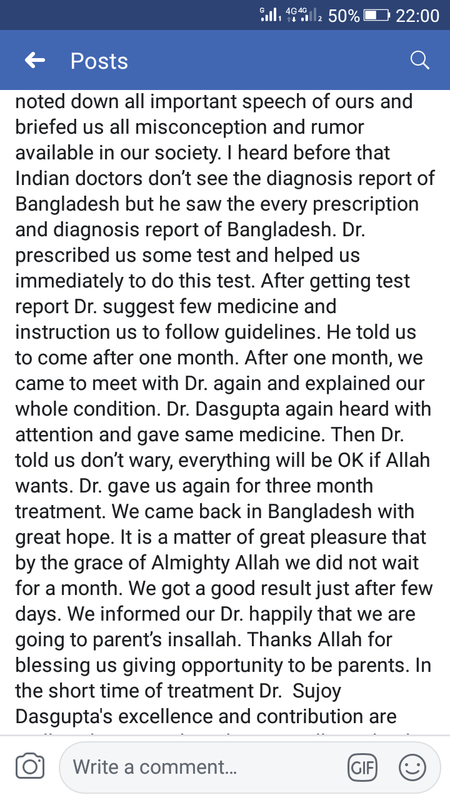 We advised them to take Tablet LETROZOLE from Bangladesh for 5 days and return to us to do TVS Follicular scan to see if eggs were growing after taking the medicine. 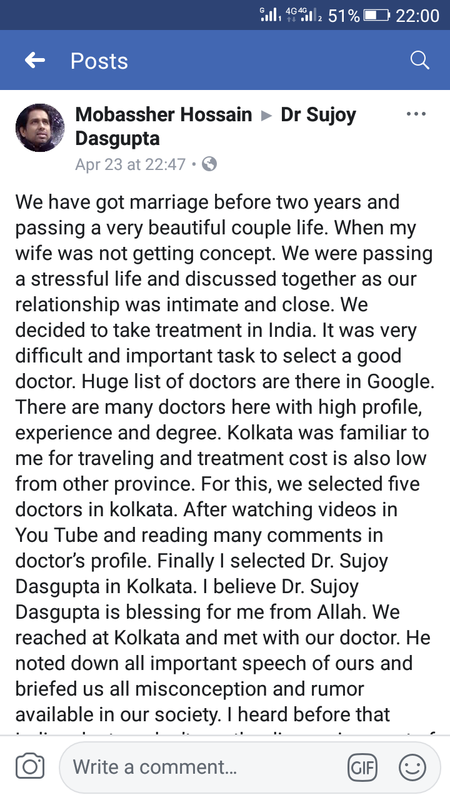 They stayed in Kolkata for one werk for the scan and after knowing that the eggs were growing well they returned to Bangladesh. They were advised to take medicine for another 3 months and if no result, they should return after 3 months. Fortunately, they conceived after one month of taking the medicine. Pregnancy was uneventful. 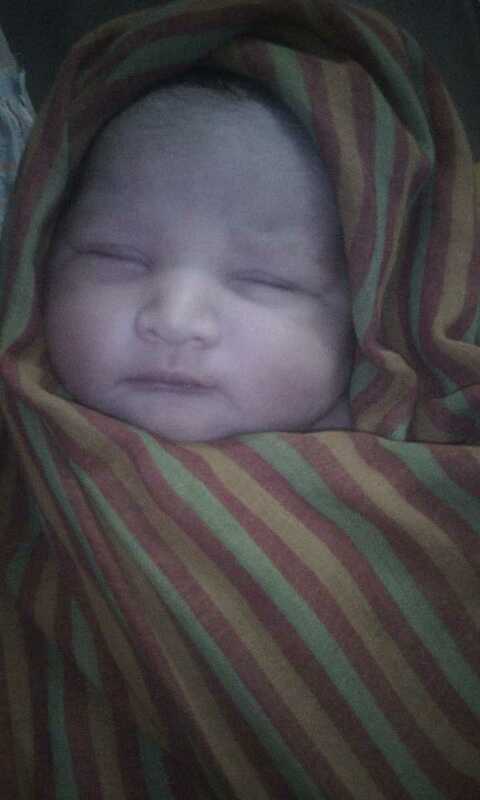 During pregnancy and delivery, the lady was under a good Obstetrician in Rajshahi. Today they become proud parents. We thank them for giving us the good news on this Auspicious day if DURGA PANCHAMI. Please wish them. 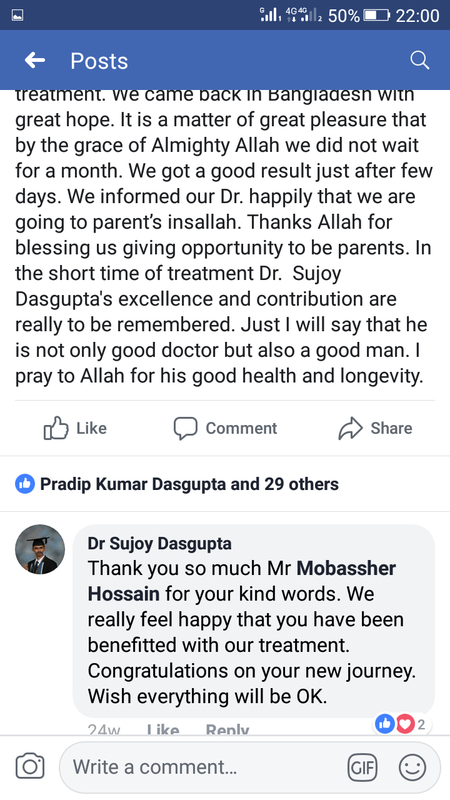 The attached are the screenshot of the valuable feedback given by the Gentleman few months back.